रोहिड़ा Rohida or Tecomella undulata is the official state Flower of Rajasthan. Rohida is found in Thar Desert of western Rajasthan. It is a medium-sized tree that produces quality timber and is the main source of timber amongst the indigenous tree species of desert regions of Shekhawati and Marwar in Rajasthan. The trade name of the tree species is Desert teak or Marwar teak. It occurs on flat and undulating areas including gentle hill slopes and sometimes also in ravines. It thrives very well on stabilized sand dunes, which experience extreme low and high temperatures. Leaves are narrow, somewhat lance-shaped, with wavy margins, 5-12 cm long. 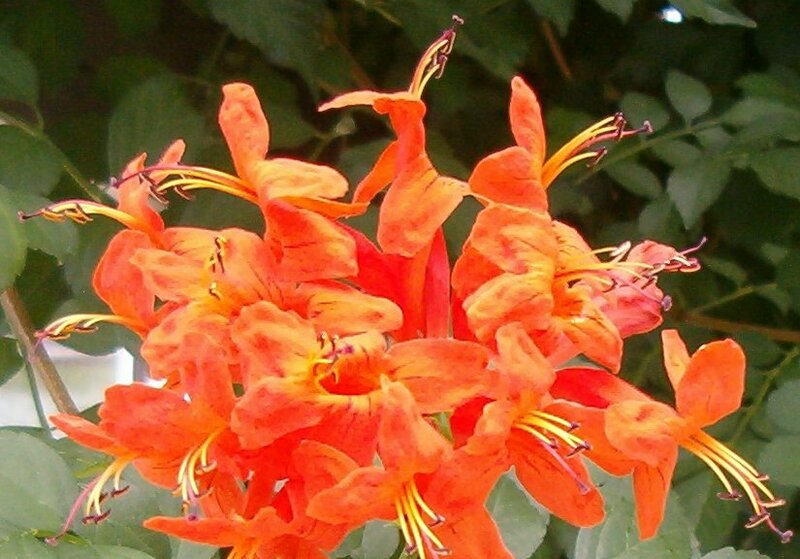 In spring time it produces beautiful showy tubular flowers in yellow, orange and red colours. Rohida is mainly used as a source of timber. Its wood is strong, tough and durable. It takes a fine finish. Heartwood contains quinoid. The wood is excellent for firewood and charcoal. Cattle and goats eat leaves of the tree. Camels, goats and sheep consume flowers and pods. Rohida acts as a soil-binding tree by spreading a network of lateral roots on the top surface of the soil. It acts as a windbreak and helps in stabilizing shifting sand dunes. It is considered as the home of birds and provides shelter for other desert wildlife. Rohida has got medicinal properties as well. The bark obtained from the stem is used as a remedy for syphilis. It is also used in curing urinary disorders, enlargement of spleen, gonorrhoea, leucoderma and liver diseases. Seeds are used against abscess.